Ken Catandella has been with Columbia for more than 12 years in various capacities in alumni relations and development. 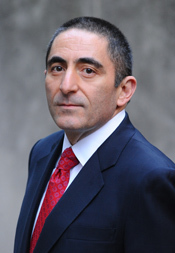 He currently serves as the Senior Executive Director for CAA and University Relations. In his current role, Ken coordinates the administrative and logistical facets for the CAA Board as well as many of its committees and is a member of the Administrative Support Team for the CAA 2017 and its Steering Committee. He serves as a University liaison to the Columbia University Club of New York and is involved in numerous strategic initiatives and development programs.